Looking up the Colorado River from the mouth of the Roaring Fork River. One of three proposed whitewater parks would be built in the river just upstream of the pedestrian bridge. IGNACIO — The ongoing effort by the city of Glenwood Springs to establish a new water right for three potential whitewater parks on the Colorado River was dealt a setback Thursday by the directors of the Colorado Water Conservation Board. The CWCB board voted 8-to-1 to adopt staff “findings of fact” that the proposed water rights for a “recreational in-channel diversion,” or RICD, would “impair Colorado’s ability to fully develop its compact entitlements” and would not promote “the maximum beneficial use of water” in the state. James Eklund, the director of the CWCB, and a nonvoting board member, was asked after the meeting what he would tell a kayaker in Glenwood about the board’s vote on Thursday. The CWCB board is required by state law to review all applications made in water courts for new recreational water rights, and to make a determination if the water right would prevent the state from developing all the water it legally can. Colorado’s “compact entitlements” stem from the 1922 Colorado River Compact, which requires seven Western states to share water from the larger Colorado River basin. The compact requires that an unspecified amount of water be divided between Colorado, Utah and Wyoming, and estimates of the amount of water Colorado can still develop under the compact range from zero to 400,000 acre-feet to 1.5 million acre-feet. Mark Hamilton, an attorney with Holland and Hart representing Glenwood, told the CWCB board members Thursday that there would be “no material impairment” to the state’s ability to develop new water supplies. “If the issue really is what’s the additional upstream development potential, we would point out that significant upstream development can still occur,” Hamilton said. Hamilton also said that the recreational water right would be non-consumptive, meaning the water would stay in the river and simply flow over u-shaped, wave-producing concrete forms embedded into the riverbed. Glenwood is seeking the right to call for 1,250 cubic feet per second of water to be delivered to three whitewater parks at No Name, Horseshoe Bend and Two Rivers Park, from April 1 to Sept. 30. It also wants the right to call for 2,500 cfs for up to 46 days between April 30 and July 23, and to call for 4,000 cfs on five consecutive days sometime between May 11 and July 6 in order to host a whitewater competition. Aurora and Colorado Springs, together as partners in the Homestake transmountain diversion project, are opposing Glenwood’s water rights application, which was filed in December 2013. “We do not oppose reasonable RICDs, but we believe this RICD claim is extraordinary by any measure,” Joseph Stibrich, the water resources policy manager for the city of Aurora, told the CWCB board, which was meeting in Ignacio on the Southern Ute Indian Reservation. Denver Water is also opposing Glenwood’s water rights application. As part of the Colorado River Cooperative Agreement, Denver Water agreed not to oppose a RICD application from Glenwood, but only if Glenwood did not seek a flow greater than 1,250 cubic feet per second, which is the same size as the senior water right tied to the Shoshone hydropower plant. Casey Funk, an attorney with Denver Water, said the utility stands by its agreement, but since Glenwood has asked for more than 1,250 cfs, it is opposing the city’s water court application. However, Funk said Denver Water is willing to keep negotiating with Glenwood. The city made the case on Thursday that it was asking for more than 1,250 cfs on only 46 days between April and September, and it was doing so because the stretch of the Colorado from Grizzly to Two Rivers Park was more fun to float at 2,500 cfs than 1,250 cfs. According to testimony Thursday, Glenwood also offered to include a “carve-out” in its water right to allow for 20,000 acre-feet of water to be diverted, stored and transported upstream of the proposed whitewater parks at some point in the future. But that did not do much to sway the concerns of the CWCB staff. “Staff is concerned with this provision, as it does not include water rights for transmountain diversions,” stated a July 15 memo to the CWCB board from Ted Kowalski and Suzanne Sellers of the CWCB’s Interstate, Federal & Water Information Section. Peter Fleming, the general counsel for the Colorado River District, suggested the CWCB board give the parties in the case more time to continue negotiating before it ruled on its staffs’ findings. The River District, which is also a party to Glenwood’s water court case, represents 15 counties on the Western Slope. But the CWCB board did not take Fleming’s suggestion, and after relatively little debate and discussion, a motion was made to accept the staff’s findings that Glenwood’s RICD failed two of the three criteria the CWCB board was supposed to rule on. 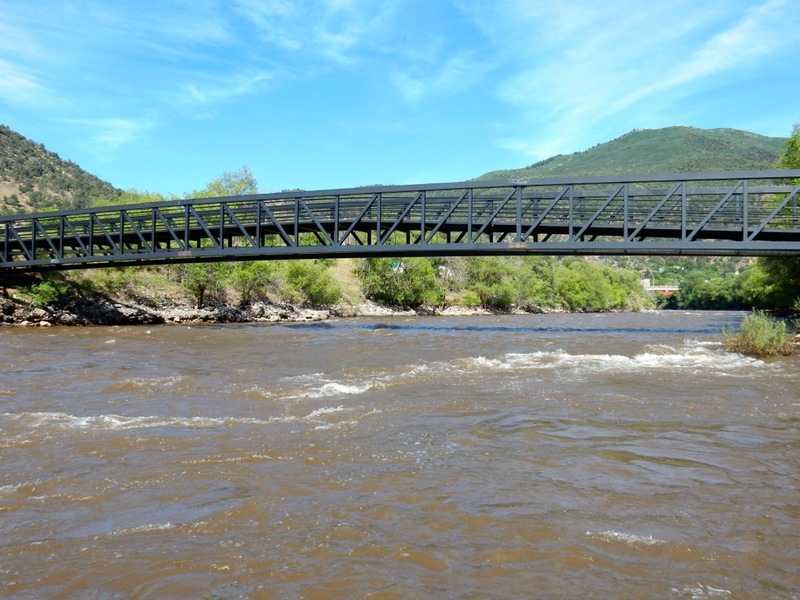 “I think it is really unfortunate that the board took the approach they did,” said Nathan Fey, the Colorado stewardship director for American Whitewater, after the board’s decision against Glenwood. American Whitewater and Western Resource Advocates are both parties in the water court case, and they are supporting Glenwood’s application. The board’s finding will now be sent to the Division 5 Water Court in Glenwood Springs, where the city filed its water rights application and the process is still unfolding. And while the CWCB board’s determination is not binding on a water court judge, it has to be considered by the court as part of the ongoing case. But Hamilton, Glenwood’s attorney, said after the meeting that the court would also need to consider additional balancing information presented by Glenwood. It could be an uphill journey for Glenwood, though, as the CWCB staff has also been directed by the CWCB board to remain a party in the water court case and to defend its “findings of fact,” which includes more issues than were considered by the CWCB on Thursday. Given the board’s vote on Thursday, Stibrich of Aurora said settlement discussions with Glenwood Springs are now likely. Editor’s note: Aspen Journalism is collaborating with the Glenwood Springs Post Independent and The Aspen Times on coverage of rivers and water. The Post Independent published this story online on July 16, 2015.